A dark and dirty painting, a shattered Qianlong serving dish, 200-year-old candlesticks, a cracked 1954 pink porcelain piggy bank—the artists of Wiebold Studio restore and conserve priceless pieces with loving care and incomparable reliability. For over 70 years, the Wiebold Studio staff has lavished the same attention on every item—whether a museum piece or a family treasure. 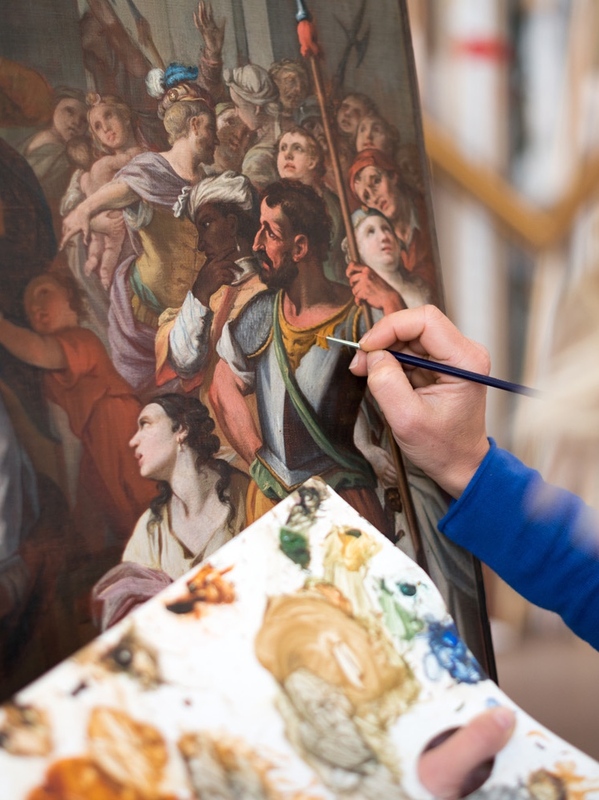 Over the decades, we've saved or restored thousands of items from great paintings, to porcelain figurines, from cathedral murals and stained glass, to sculpture and silver pieces for clients nationwide. We know family treasures and collectibles are important too.